The Ambassador Hotel is one of the largest hotels in the area, with over 700 rooms. An older four star hotel, the Ambassador Hotel was built in 1974 but has been renovated in 2009 and offers a comfortable, clean experience for guests. 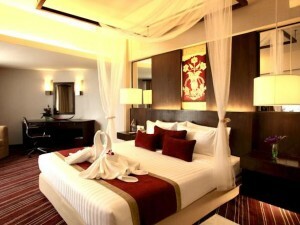 Rooms are extremely spacious and much larger than rooms in newer hotels. There’s also free Wi-Fi throughout the hotel with good connection speeds. 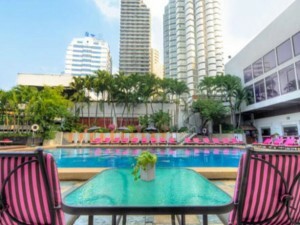 Although some parts of the hotel are showing their age, the Ambassador Hotel is a good value choice with an excellent location that’s ideal for people that don’t mind using a slightly less modern hotel.